I think it would be more appropriate to rename so-called "Conceptual Artists" as "Con Artists". Here is a taster from Tracey Emin, the famous Con(ceptual) Artist. 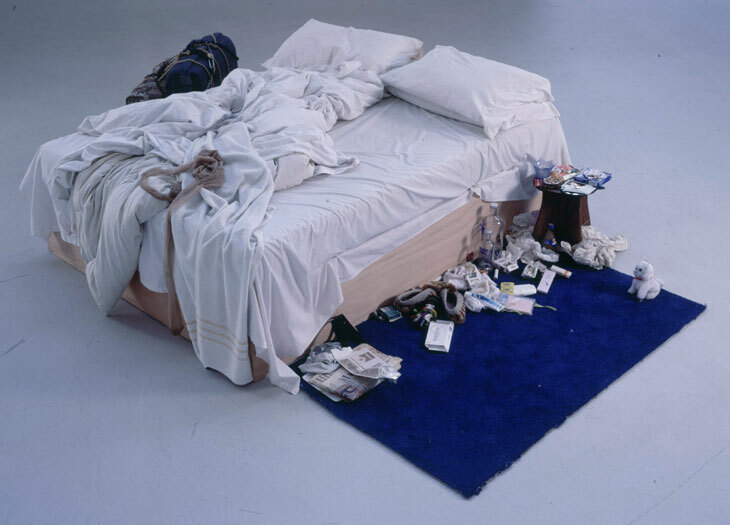 The artwork generated considerable media furore, particularly over the fact that the bedsheets were stained with body secretions and the floor had items from the artist’s room (such as condoms, a pair of knickers with menstrual period stains, other detritus, and functional, everyday objects, including a pair of slippers. The bed was presented as it had been when Emin had not got up from it for several days due to suicidal depression brought on by relationship difficulties. My Bed has very quickly come to symbolise a certain kind of art, usually referred to as conceptual art, which is appreciated by much of the art world. I just learned that philosopher Roger Scruton is reported having said that "the contemporary art-world is a con-trick." Scruton is also defending the importance of beauty in Arts.